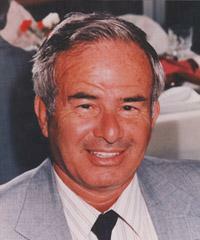 Irving Rosen was born and raised in the Bronx, New York, on November 27, 1927. This is where he met his wife-to-be Phylis Novatt at the age of twenty and shortly after had his first daughter, Barbara Rosen. Coming from a poor background and not having many opportunities in New York, the Rosen family decided to move to Los Angeles, California in 1949, where their future seemed brighter. Shortly after moving to LA, Irv started with a young nationwide chain store called Pep Boys which is still in operation today. During this era of the automotive industry, business was more formal than the industry today. Salesman wore suits and ties and had the personal attention that the industry lacks today. Shortly after working at Pep Boys Irv became a store manager and was voted salesman of the year of the nation every year he worked there. Irv was making a decent living and decided, with his wife, to have two more children, Susan, and the youngest, Ronald. 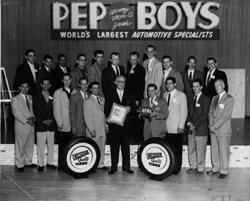 In 1962, Irv left Pep Boys to become an outside tire representative for a major tire distributor at that time called Cooper Tire. Irv had many accounts, one which was a small little shop on Ventura Boulevard in Encino called Delta Tire. Delta Tire was owned by man named Sam Winston. Sam had thought that any tire store not located on a corner would never be able to survive in the future of the San Fernando Valley. Every time Irv visited Sam, Sam would always talk of how much he wanted to sell the business. Irv eventually bought the business from Sam on April 1st, 1970. Sam Winston later started his own tire corporation called Winston Tire. 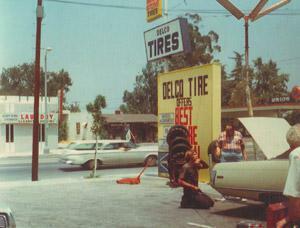 Irv changed the Name from Delta Tire to Delco Tire and had a small crew including his youngest son, Ron. Soon after being in business Irv found himself being sued by ACDelco for copyright reason for using the name Delco Tire. After many days in court, Irv won the law suit due to ACDelco having forty-seven different patents, but not one on tires. Four years after being in business, Irv opened two more Delco Tires and had his son, Ron, run one at the age of seventeen. Shortly after being open, Irv decided to close the two new stores down due to losing the main principle which he always believed was the most important, personal attention. In 1985, Irv sold Delco to his son Ron. Even though Irv sold the business he never got tired of customer relations and in fact continued to do so until the day of his death. Irv passed away January 18th, 1994, which happens to be the day after the famous Northridge Earthquake. Many still remember him for his great sense of humor and his ability to always have a joke to tell. His legacy will live forever at Delco Tire. Since he passed, Ron has moved the business four buildings down to a bigger location and has evolved his business from a small tire and brake shop, to a major automotive facility. Although, Ron has grown larger he still maintains the main principle that his father used when he started the business, personal attention. Ron also looks forward to caring that tradition on with his children which would be the third generation at Delco Tire.